Ground Effects has been installing retaining walls with great success for years. 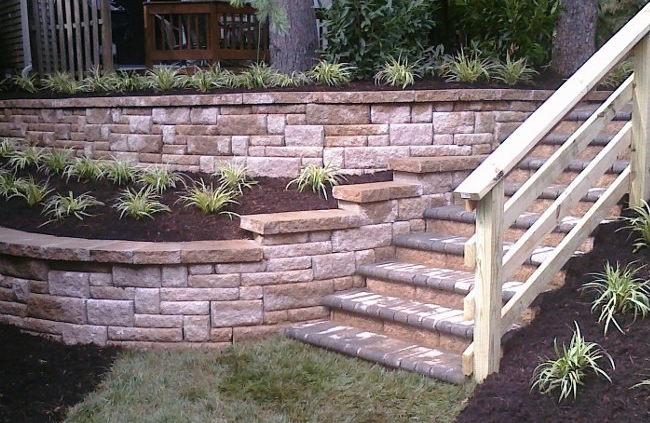 Our clients are amazed at the transformation a simple garden wall or dry stack border brings to their outdoor spaces. Ground Effects always meets the challenge of difficult sites. Our Professional Engineers and Geo-Techs design and oversee walls of all shapes, sizes and applications. When you schedule an estimate, our specialists come to your site to listen to your ideas and need for creative and beautifying solutions. Ground Effects presents block samples and colors, construction idea and specification pamphlets, design idea books and photo albums of previous work to help you visualize a new setting for your home, garden or office. Ground Effects is proficient and experienced in commercial or residential installations of timber, slate, and interlocking block walls, including gravity walls and tiered walls of all sizes. Ground Effects work closely with distributors to secure the most affordable prices for interlocking block wall systems by many different manufacturers, including Keystone, Belgard, and Anchor Retaining Wall Systems. Ground Effects crews work under the supervision of certified National Concrete and Masonry Association Segmental Retaining Wall Installers. 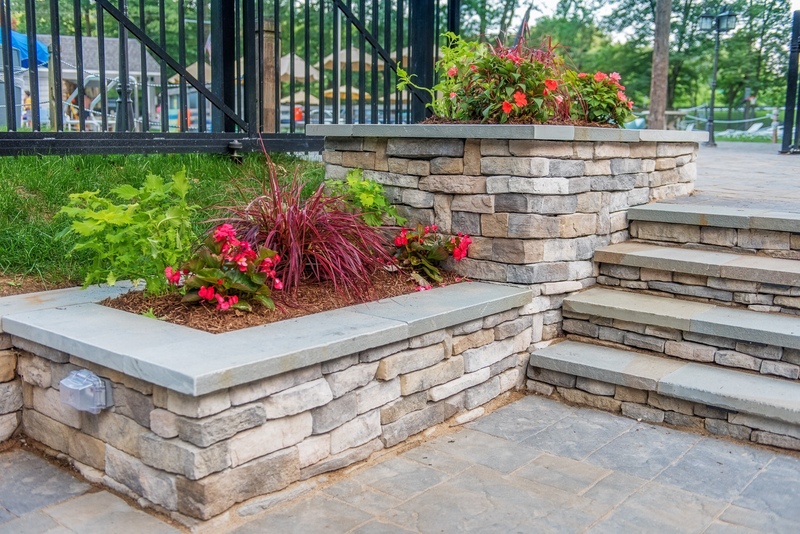 Sit back and watch your property values go up along with the professional installation of stone retaining walls and other hardscape design work by Ground Effects.